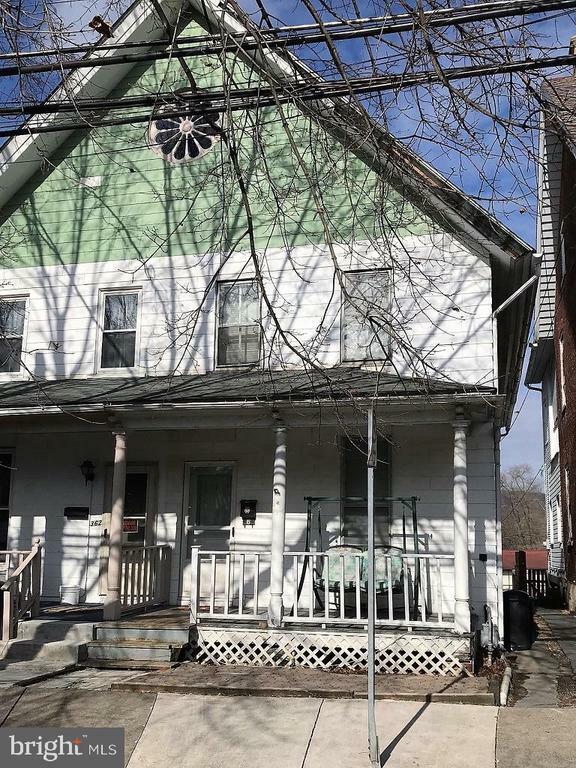 All Slatington homes currently listed for sale in Slatington as of 04/22/2019 are shown below. You can change the search criteria at any time by pressing the 'Change Search' button below. 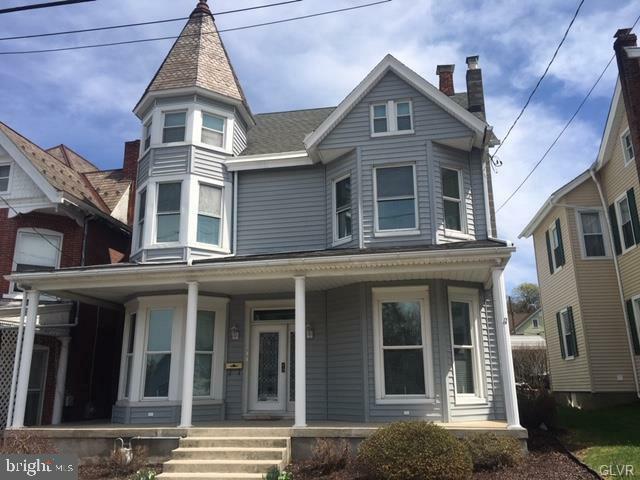 If you have any questions or you would like more information about any Slatington homes for sale or other Slatington real estate, please contact us and one of our knowledgeable Slatington REALTORS® would be pleased to assist you. "This Breathtaking 9,300 Sq. Ft. Stone Farm House Is Quietly Situated On Over 150 Acres. Accommodations include a Cinema Room, a Pub and Billiards Game Room, A Fabulous Country-Cherry Kitchen With Granite and Butcher Block place Surfaces There Are Carlisle Wide Plank Heart Pine and Glazed Brick Flooring. Other Improvements Include 6 Wood Burning Fireplaces, A Pool Surrounded by a Flagstone Patio & Gazebo And Much More! The Property Has many outbuildings Including An 1870 Original Stone Farmhouse. This Spectacular Property Has Sensational Panoramic Views And Is worthy Of Your Inspection!!" "This Breathtaking 9,300 Sq. Ft. Stone Farm House Is Quietly Situated On Over 150 Acres. Accommodations include a Cinema Room, a Pub and Billiards Game Room, A Fabulous Country-Cherry Kitchen With Granite and Butcher Block Surfaces There Are Carlisle Wide Plank Heart Pine and Glazed Brick Flooring. Other Improvements Include 6 Wood Burning Fireplaces, A Pool Surrounded by a Flagstone Patio & Gazebo And Much More! The Property Has many outbuildings Including An Additional 1870 Original Stone Farmhouse. This Spectacular Property Has Sensational Panoramic Views And Is worthy Of Your Inspection!!" "Beautiful Vast property with 4 separate parcels all being sold as one unit. Main property 3045 High Hill has 16.31 acres 2 large buildings with 10284 sq ft with amazing views from deck of Chalet styled property. The property was formerly a tree farm and has many unique landscaped features. 3063 (lot3) has 2.72 acres, 3081 (lot2) has 2.67 acres and 3099 (lot1) has and additional 1.87 acres and a 2400 sq ft pole barn. Endless possibilities exist, Currently property has been a retreat that has hosted weddings and events. This could be converted into an exquisite residence, a business that runs banquets, landscaping etc. All usage changes will require township approvals"
"Beautiful Vast property with 4 separate parcels all being sold as one unit. Main property 3045 High Hill has 16.31 acres 2 large buildings with 10284 sq ft with amazing views from deck of Chalet styled property. The property was formally a tree farm and has many unique landscaped features. 3063 (lot3) has 2.72 acres, 3081 (lot2) has 2.67 acres and 3099 (lot1) has and additional 1.87 acres and a 2400 sq ft pole barn. Endless possibilities exist, Currently property has been a retreat that has hosted weddings and events. This could be converted into an exquisite residence, a business that runs banquets, landscaping etc. All usage changes will need township approvals." 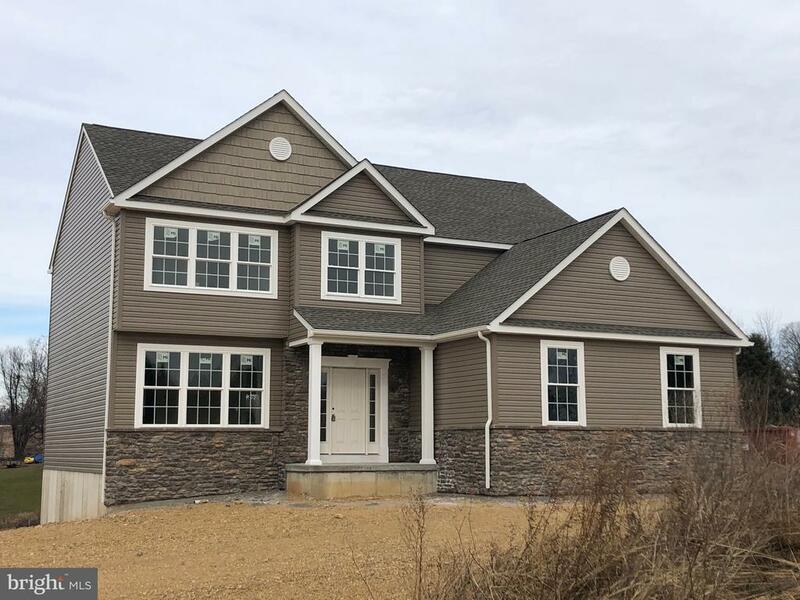 "New Construction featured by LTS Homes offers a cul de sac of beauty! Long Distance Views! 1 Acre lots! Dorset II Model offers 2606 SF including a Generous Master Suite with featuring ceramic tile bath & w/i closet. Eat In kitchen with Breakfast Room. First Floor Family room. Formal Living & Dining Rooms. 3 Additional spacious Bedrooms on the 2nd floor. Full Basement and 2 Car Attached Garage. Still time to customize!! (Photo of similar home)"
"QUICK DELIVERY Hatherly III Model offer 2325 SF of living space. From the welcoming 2 Story Foyer to the Grand Family Rm, Then Hatherly exudes smart design and charm. The floor plan flows seamlessly and provides easy-living convenience and sophistacation. Hardwood floors through the first floor, The Family Room features a gas Fireplace with Wood Mantle and granite. Beautiful oak staircase with Metal Railing. Upgraded Coffered & Tray Ceilings! We are pulling out all the stops here! Full Basement and 2 Car Attached Garage set on 1 Acre with valley views! Still time to customize!! (Photo of similar home)New Construction featured by LTS Homes offers a cul de sac of beauty! Long Distance Views! 1 Acre lots!" "New Construction featured by LTS Homes offers a cul de sac of beauty! Long Distance Views! 1 Acre lots! Lincoln Model offers 2226 SF, including a Generous Master Suite with featuring ceramic tile bath & w/i closet. Eat In kitchen with Breakfast Room. First Floor Family room. Formal Living & Dining Rooms. 3 Additional spacious Bedrooms on the 2nd floor. Full Basement and 2 Car Attached Garage. Still time to customize!! (Photo of similar home)"
"Build to Suit Settle into this brand new custom built home nestled in partially wooded tranquil setting This home features a first floor master bedroom suite with 9 foot ceilings. A large cathedral ceiling in the great room with a rustic stone fireplace. Boasting a gourmet kitchen island. 3 car garage. Choose selections now! Close to all major routes. Owner is a PA Licensed Realtor"
"We hope your enjoy the video preview attached. Stone Farm Home on 10+ acre farmette at the foot of the Blue Mts. This recently remodel 4 bedroom, 3 bath mountain stone home, with spring feed pond for fishing and wood lands for hunting and recreation await you! Formally a farm then hunting lodge, the spring house could be a perfect guest cottage. An additional 60+ acres might be available for farming or horses. The tile entry leads to the large airy kitchen with trey ceilings, granite counters, stainless steel appliances, adjoining dining rm. and living rm. with fireplace. The 2nd fl. has two large bedrooms with 1.5 tile baths. The third level has two large skyline bedrooms and guests. A dual heating and air conditioning systems provide comfort and the recreation room on the lower level has an addition powered room and laundry. The back patio overlooks the pasture and woodlands, and the stone foundation of the barn could be rebuilt for a barn or additional garage area. Low total taxes, 2,708 make this a great place for your new home. Additional Acreage maybe available." "This is the home you've been waiting for! You'll find a very nicely finished Victorian style home, starting with the entry living room. To the left, a front staircase to the second level, and to the right a coal burning fireplace. The next room is the living room, and at the rear of the first floor is a split kitchen with appliances and cabinet work to the right, and a dining area to the left, with an exit door to a covered porch, the fenced rear yard, and the entry to a two-car+ garage. The second level has four bedrooms and two full baths. The front bedroom is at the right of the front staircase, and the view from the window will show you the best of Slatington and beyond. The third floor attic area is currently used for storage, but the rooms are heated, and could be used for additional storage or bedrooms. Plan to stay awhile if this is the style of home you've been looking for." 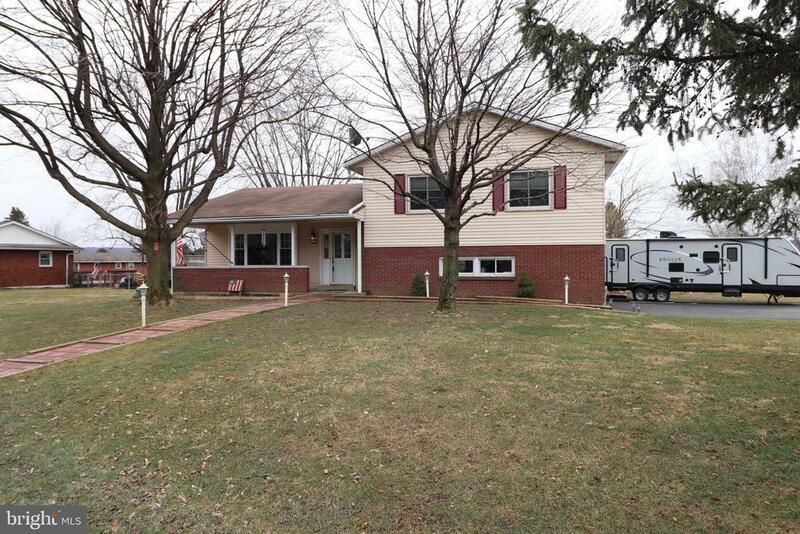 "This 3 (or more) BR, 1.5 BA home in Washington Twsp. will surprise you with 1,700 sq. feet of finished living space! Upstairs is the living room, kitchen, dining area, 3 BR~s, and full bath, and downstairs is an expansive area with one section dedicated to office space and the other serving as a family gathering area. There is also a separate room (being used as a BR), a half bath, and a huge laundry room. What will you love about this home? Inside nearly all windows have been replaced, it has a heat pump/central air, and 4 or more BR~s could be possible. Outside it has great mountain views, a storage shed for your tools, and a built-in grill. And finally, the LOCATION CAN~T BE BEAT! 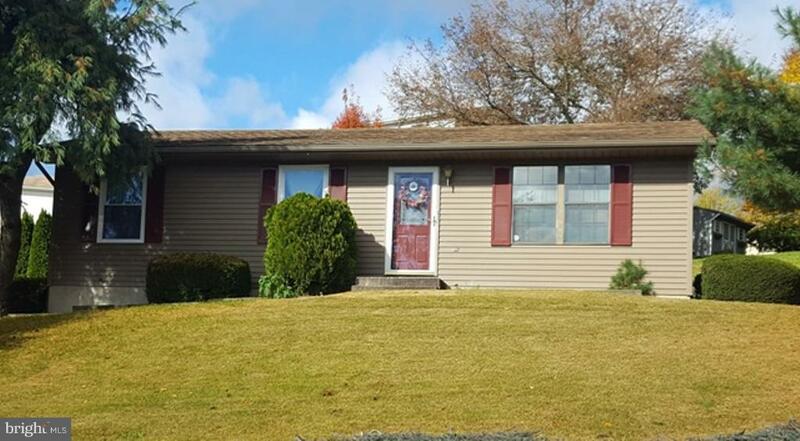 Not only is it in a great neighborhood, but it~s also centrally located and in close proximity to the LV Mall, Dorney Park, Beltzville, Jim Thorpe, Penns Peak, many restaurants, the turnpike entrance, and so much more. Bring your pen because you'll be ready to sign an offer when you see this one!" "Enjoy your summer on the covered front porch. This 3 bedroom, 1 bath home needs a little TLC. Brand new furnace in 2018, large eat-in kitchen. 1st floor offers open concept living. Huge basement w/laundry hook up. 1 car garage and large driveway for additional parking. Owner wants sold. Call Today!" 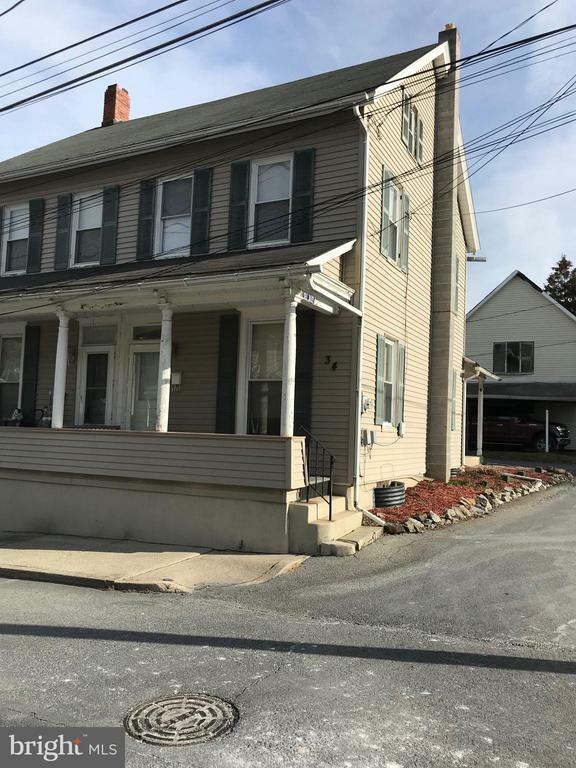 "Twin home on quiet street in Slatington. Covered front porch and side porch to enjoy evenings outside. The first floor includes roomy dining room and living room and the kitchen. An entrance to the basement with shelves is right off the kitchen. Upstairs are two bedrooms and a full bath, all with ceiling fans.Lots of windows make the rooms bright. Room for storage in attic which has a full floor. Come in and make this twin your home."